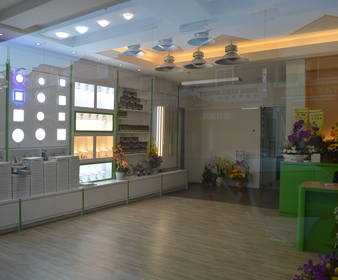 ECO LED is one of the leading LED lighting solution providers in Malaysia. Committed to pursue sustainability aspirations, ECO LED is dedicated to enhance well-being and transform live with light above the boundaries of design and technology. Creating the right conditions in your environment with the right LED can bring out the best ambience and visual comfort with bright and energy-efficient lighting making an eco-friendly environment, either for residences or office, hotel or commercial buildings, even indoor or outdoor environment. Designed to serve a comprehensive range of applications, ECO LED luminaires will be able to meet your diverse needs, like ECO LED HB SERIES 7W-25W, ECO LED HIGHBAY SERIES 50W - 100W, ECO LED T8 TUBE and ECO LED FLOOD LIGHT (oil cool) which own with design patent rights. ECO LED also provides the services of LED lighting design and customization based on customer requirement, bringing you significant energy savings and lower carbon footprint without compromising the modern outlook design. With the strictest quality monitor system, ECO LED professional technical team is always here to serve and support for great customer experience, ensuring every stage of installation is carried with high standard towards in term of quality, environment friendly, safety, reliability, efficiency at an affordable cost. ECO LED , the smarter choice to have a brighter future with Eco-friendly technology, giving you a better environment & much more comfortable life.